The ongoing compilation series Auteur Labels profiles independent record labels with a unique and enduring sound, vision and design sensibility, usually guided by one or two directors, and concerned more with creativity than commerce. 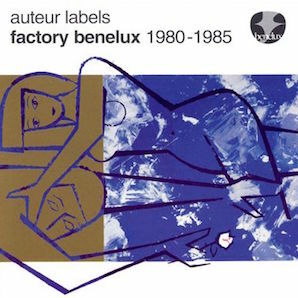 This volume highlights Factory Benelux, the Factory sister label founded in Brussels in 1980, with close links to Les Disques du Crépuscule. Cover art by Benoît Hennebert.